Sitting on top of Fort Canning Hill there is literally a Fort but this is not a fortified place occupied by troops. Instead it housed a omakase gastro-bar concept, FORT by Maison Ikkoku which is led by commander-in-chef, Executive Chef and Senior Master Mixologist, Ethan Leslie Leong. Together with my dining partner, we sat through a 12 course omakase set dinner at only $68. The gastro-bar dining concept is set up in such a way that there are only bar counter seats. Diners sit around the bar counter enjoying their meal while at the same time you can watch the skillful mixologist prepares your bespoke cocktails. Our 12 omakase menu started with the Cold Braised Radish with Cuttlefish. A refreshing start to dinner. It helped to freshen up the palate for the upcoming courses. I like the addition of the cuttlefish which provided an additional texture and oomph to the dish. 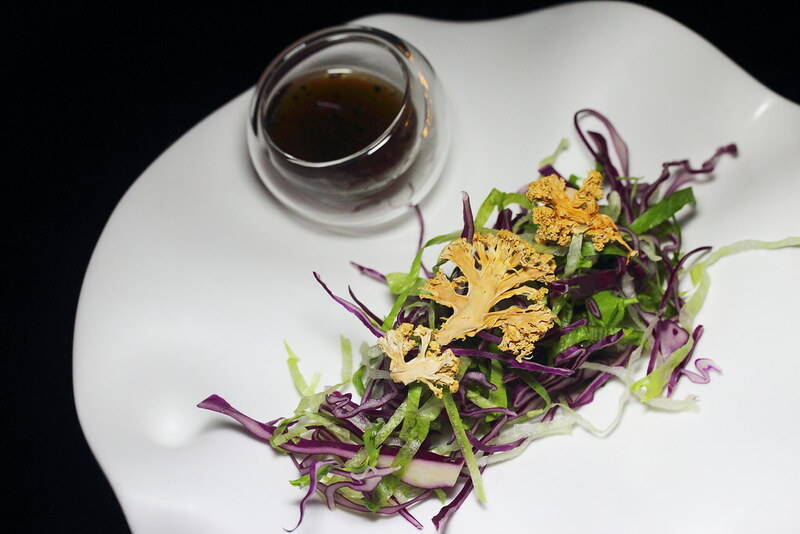 The Chef's Salad with Dehydrated Cauliflower felt rather boring for an omakase item. 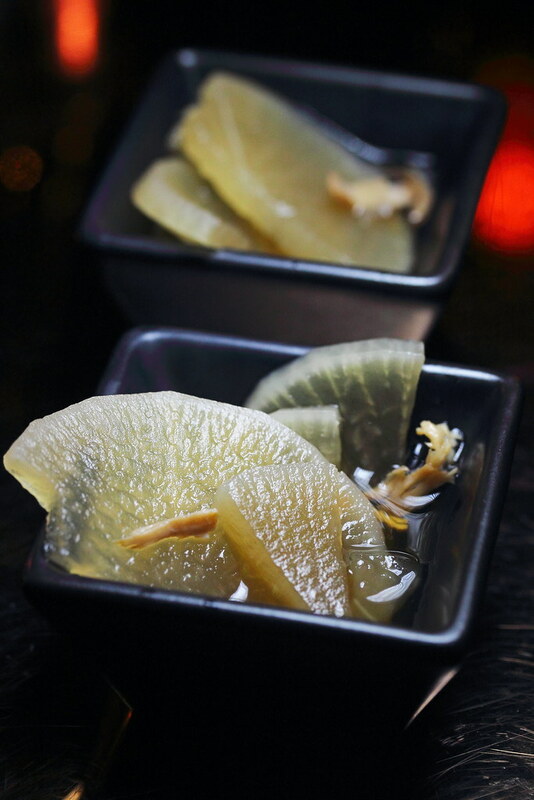 The saving grace has to be the Yuzu Wasabi, that gives life to the fresh and crunchy shredded vegetables. Dinner got more exciting at the 3 course. 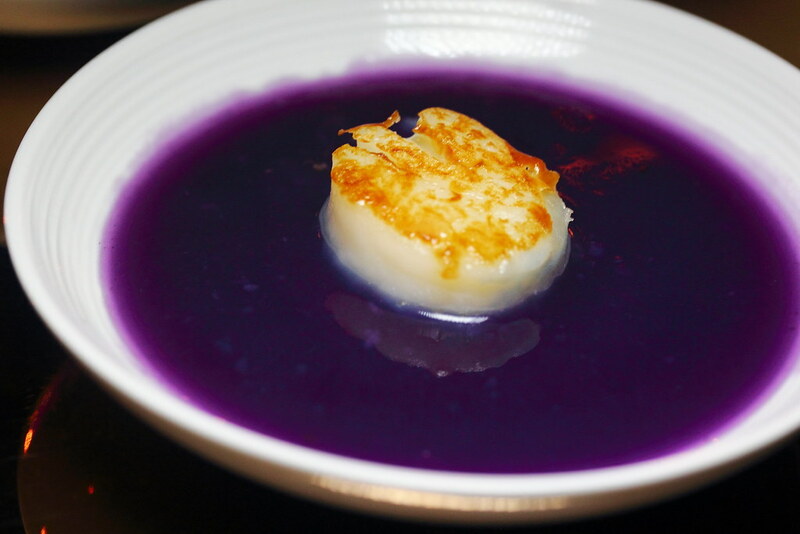 The Pan Seared Scallop sits in a pool of Japanese Purple Sweet Potato and Bonito Broth. Besides the beautifully cooked scallop, what arouse me is the purple broth. The use of the Japanese purple sweet potato and bonito is a deliciously new experience for me. I can see it working well with other seafood dishes too. 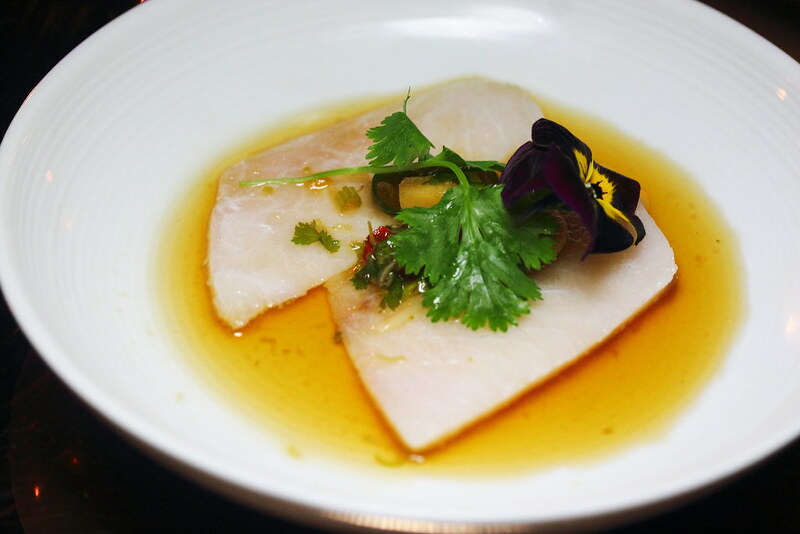 The Swordfish Carpaccio with Asian Dressing caught me off guard in a good way. Beside appreciating the freshness of the swordfish, I was drawn to the Asian dressing. 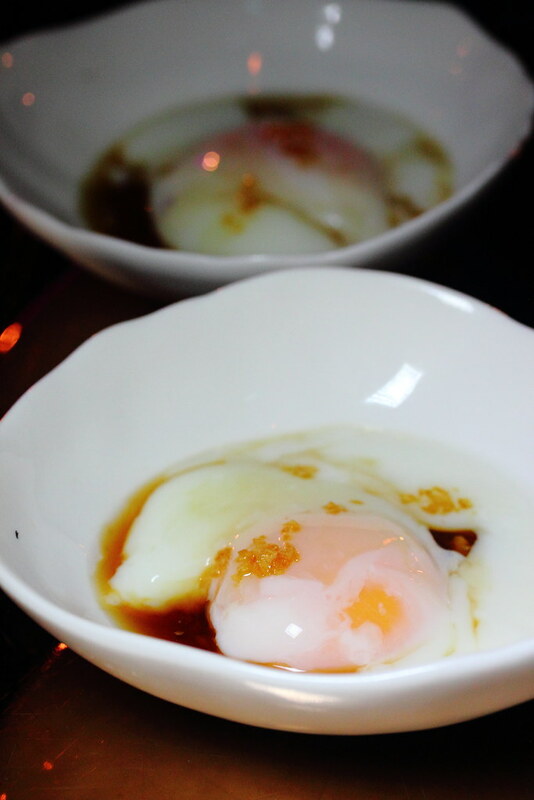 It gives the dish an oriental dimension which felt like having Cantonese style steamed fish. The dinner experience got a little bit confusing with the Onsen Egg with Garlic Oil and Seaweed. The whole presentation made me felt that I was having breakfast. The dinner flow kind of took a detour but I am not saying it is a bad dish. It is more in terms of the whole dining experience. Maybe the presentation can be more elegant with a bit more components to change the perspective. 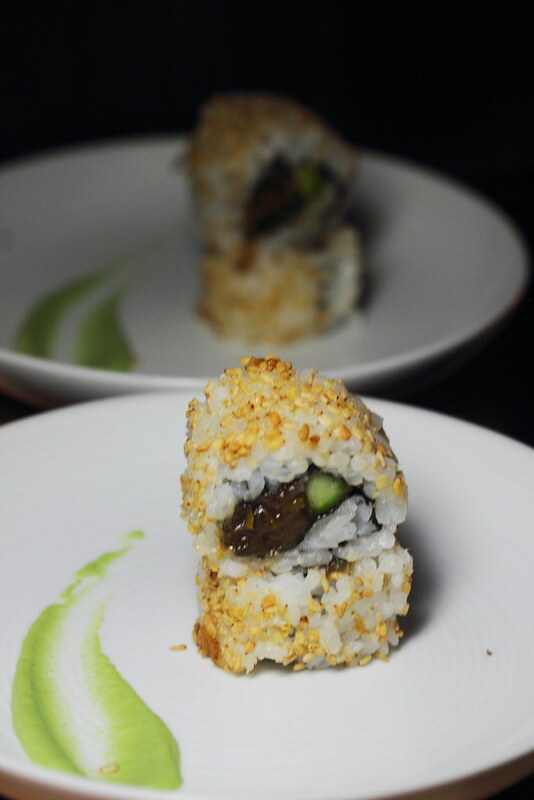 The Signature Spicy Fort Roll comes with spiced maguro tuna and cucumber rolled up in sushi rice and sprinkled with sesame seeds. Pop the parcel into the mouth to get a a fiery burst of flavours. Be warned if you have a low tolerant of spicy food. 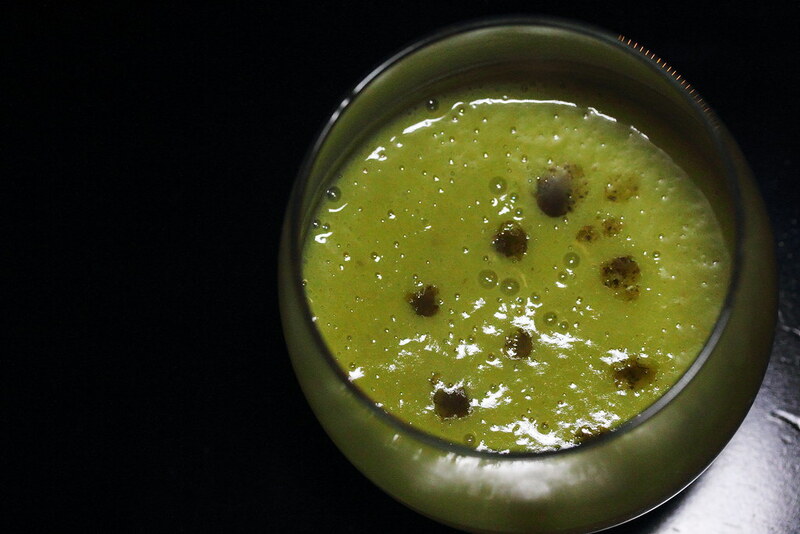 Like a runner in a marathon, the Green Peas Soup with Homemade Wasabi Oil is served timely on the half way point at the seventh course. The hearty soup is further lifted with a few drop of the wasabi oil for a comforting finish. 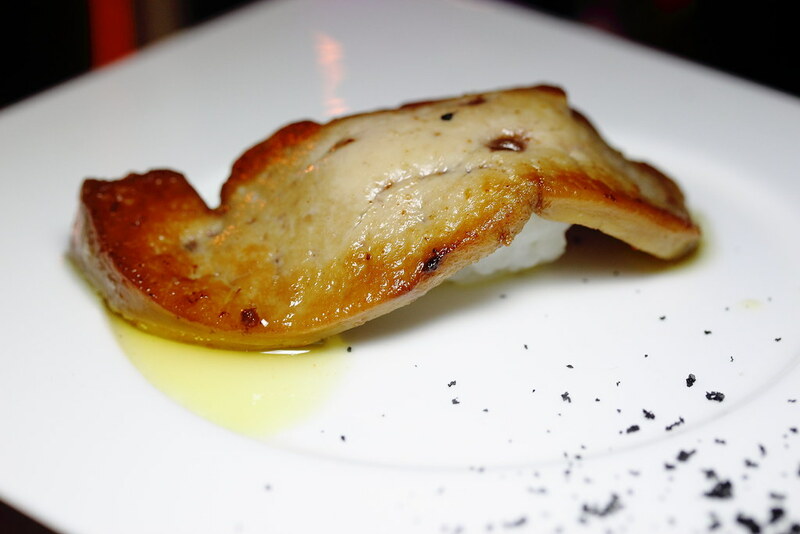 An interesting substitution of the sashimi is the used of Foie Gras with Sushi Rice. The rich and buttery foie gras literally melted in the mouth. Dip it with a bit of the charcoal salt to get a fuller enjoyment of the sushi. 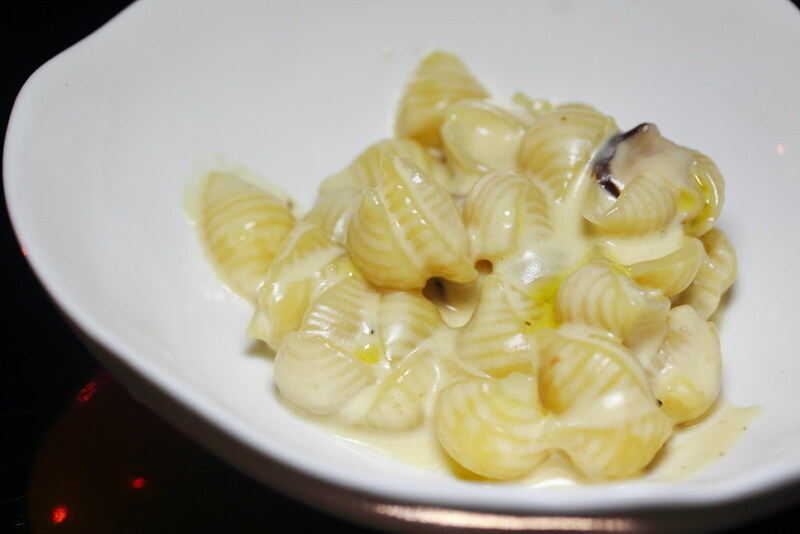 Replacing the macaroni with shell-like pasta (conchiglie) it gives the Truffle Mushroom, Mac & Cheese a delectable al dente bite. Using only simple ingredients, the chef has managed to turn it into a beautiful dish, coating the pasta in a pool of cheese and perfumed by the earthy scent of truffle. 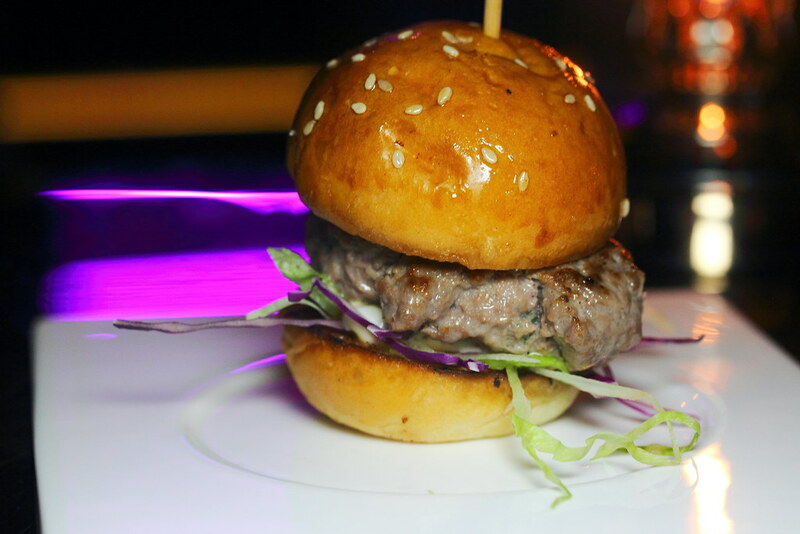 The mini Lamb Burger comes with a juicy lamb patty that is sandwiched in between 2 crispy buns. If you are worried of gamy taste, you would not get that in the burger. In fact you probably would not be able to tell its made of lamb. It is a lovely burger but if it can be more cheesy, I would have love it more. The last dish before dessert is the Salmon Aburi Don with Ikura. 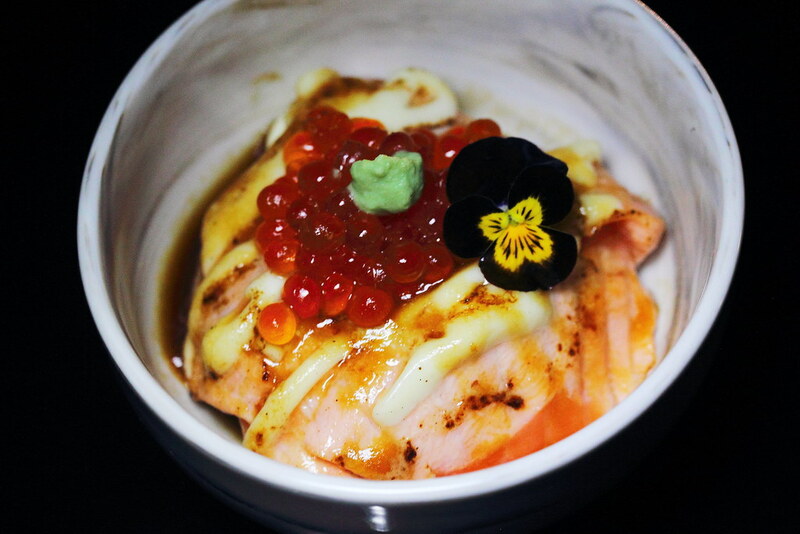 Each mouthful of the bowl comes with the sweet and smokey torched salmon complemented by the popping saltiness of the ikura and fluffy Japanese rice. 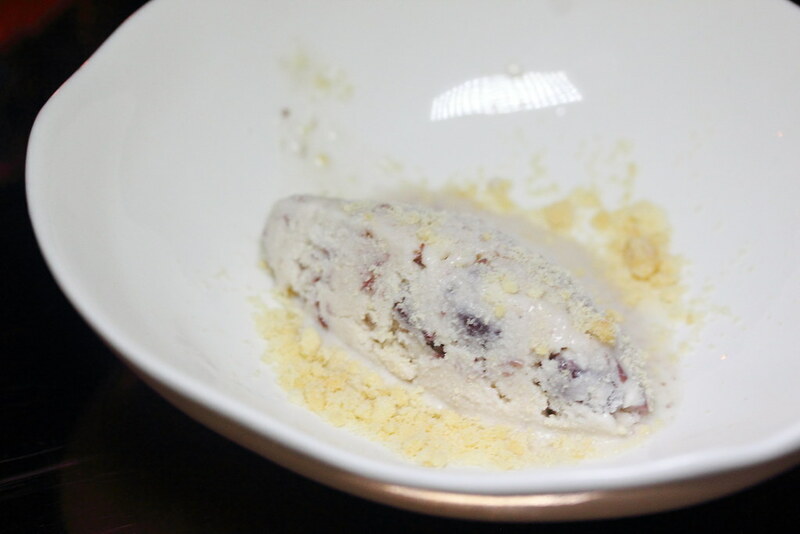 Wrapping up the 12 course omakase, we had the French Vanilla Ice Cream with Japanese Red Beans. Matcha and red bean is the usual combination so this is rather unique. I also like the fact that it is not overly sweet but nicely balanced for a smoothing finishing to the dinner experience. 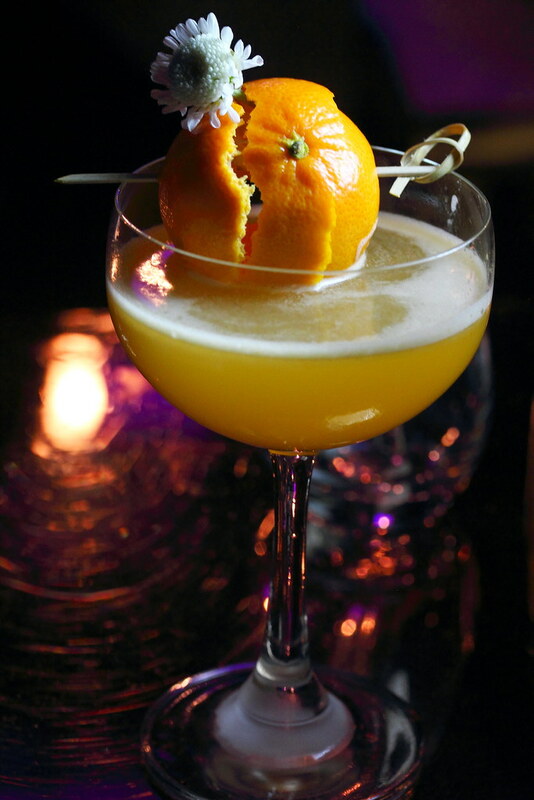 At FORT by Maison Ikkoku, besides the affordable 12 course omakase menu, one should not missed out having a drink or two of their bespoke cocktails. 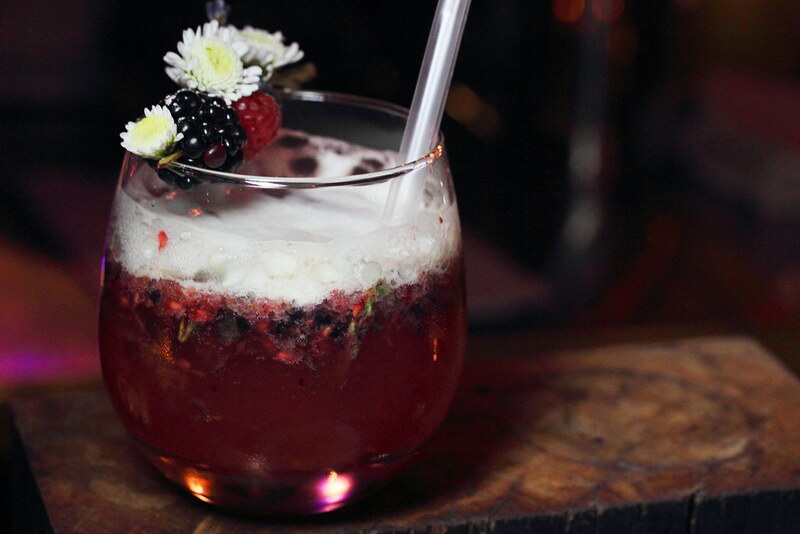 Let the mixologist knows what you like and they will work their wonders to make your night even more magical.